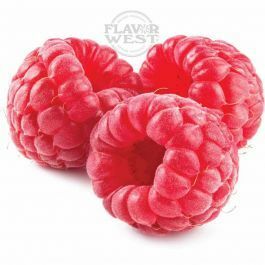 Enjoy delicious sweet and tart raspberry flavor in your baked treats. This flavor goes a long way with some mixed fruit flavor in your baked treats and drinks. Type: Raspberry Water Soluble Flavoring. Ingredients: Natural and Artificial Flavoring, Propylene Glycol and Ethanol. USP Kosher Grade Flavoring. Usage Rate: 15-20% for E-use. Flavor Suitability: Suitable for desserts, candy, ice cream and snack foods, syrups, and soft drinks, lip balm and more. Specific Gravity: 1.02 No Refunds on Flavoring. This is another excellent stand alone with a very juicy crisp and clean raspberry flavor on inhale and a very slight tart taste on exhale.This is one of those flavors that can go as an ADV.It is not sickly sweet like some fruit flavors can be and it has a clean after taste to go with it. Another must have in your DIY arsenal.